What is proof of Travel Plan? Depending on the specific type of international trip that you’re taking, there are always a number of important things to keep in mind. 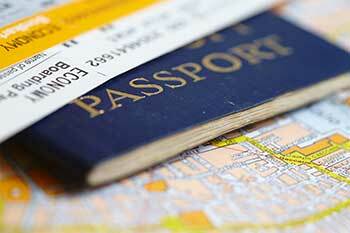 In addition to making sure that you have the appropriate passport or visa required by your destination. You will be required to submit proof of travel plans to expedite a passport when you apply for any type of expedited passport at a passport agency or private passport expediting company. This document is required at most passport agencies, and would have to show that you would be traveling within 2 weeks or 30 days if a visa is required. A copy of your plane ticket showing your destination and other necessary time-related information about your trip, or a confirmation of the hotel that you’re booked that you plan to stay at when you arrive at your destination. A copy of your travel itinerary that you received from either the travel agent that you’re working with to plan the trip, or from some type of online booking agency. A copy of an official business letter from your employer (in the event that you’re taking an international trip for the purposes of business) that details exactly why you’re visiting the country in question, how long you plan on staying and more. It is important to note that if you plan on submitting a business letter as your proof of travel plans for an international trip, these documents are accepted purely on a case by case basis by the Department of State in the United States. As a general rule of thumb, always try to submit your hotel confirmation or travel itinerary first as these are accepted in all application situations. If you do plan on going forward with submitting a business letter, make sure it includes all travel dates and other bits of relevant information. It is also important to note that if you are trying to expedite a passport application exclusively so that you can either go on a business trip or accept some type of employment opportunity in an international destination, you will be unable to do so for this specific purpose. You will still need to provide the appropriate proof of your travel plans for the international trip for your application to be successful. If your international trip is to Mexico or Canada and you will be renting a car to get around, you can write a brief statement to the Department of State indicating your intentions to do so and submit it along with the rest of your documents.